Superdry men’s Arctic hooded Pop zip SD-Windcheater jacket. Keep warm with this essential jacket this season. Featuring a fleece lined hood and body, double layer collar, ribbed cuffs with thumb holes, a bungee cord adjustable hem, twin front pockets and one inside pocket. 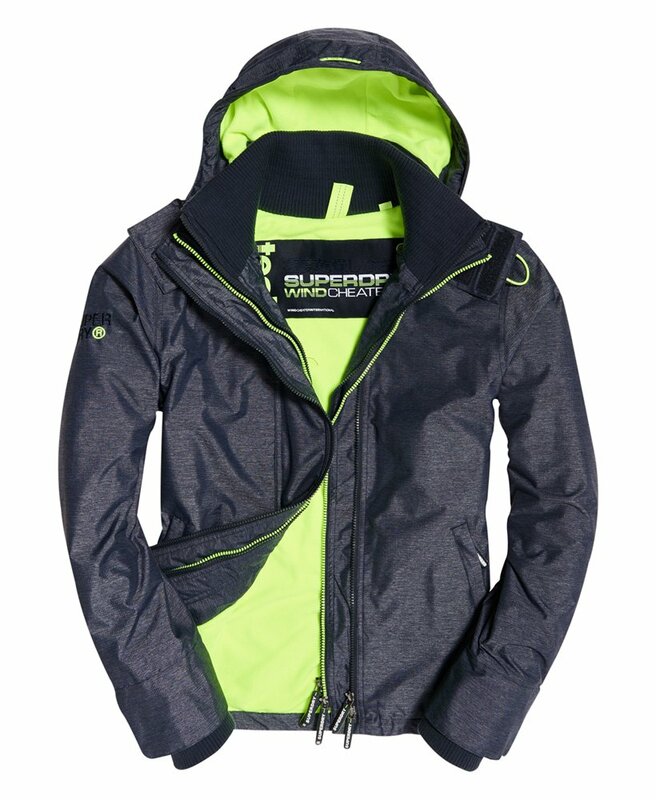 This jacket has a triple layer zip fastening and is finished off with an embroidered Superdry logo on the shoulder and the sleeves.